Former Sen. Chuck Hagel, R-Neb., President Obama's nominee to succeed Leon Panetta as defense secretary, was confirmed this afternoon by the Senate Armed Services Committee, paving the way for his likely -- if unpleasant -- path to confirmation for the job. Hagel, whose performance in last week's confirmation hearings was criticized as passive and at times confused, passed along party lines by 14-11 in committee, narrowly clearing the first hurdle to his nomination. For more than two hours before the vote, senators on the committee debated his abilities to lead the Pentagon. His confirmation now depends on a full Senate vote, which requires majority support. No Democratic senators have signaled an intent to vote against Hagel's confirmation, which means that he should pass that 50-vote threshold. Even if Republicans choose to filibuster Hagel's nomination - which would be historically unprecedented - Democrats would need 60 votes to defeat that move. There are 55 senators who caucus with Democrats; meanwhile, at least five Republican senators have signaled that they would not support a filibuster on Hagel's nomination. Thus, it's likely Democrats would be able to defeat such an attempt. Still, according to Senate historian Don Ritchie, Republicans who object to Hagel can still throw a wrench in the confirmation process by objecting to requests for unanimous consent and generally imposing infinite delays on the vote. That's essentially what Sen. Jim Inhofe, R-Okla., is planning to do. 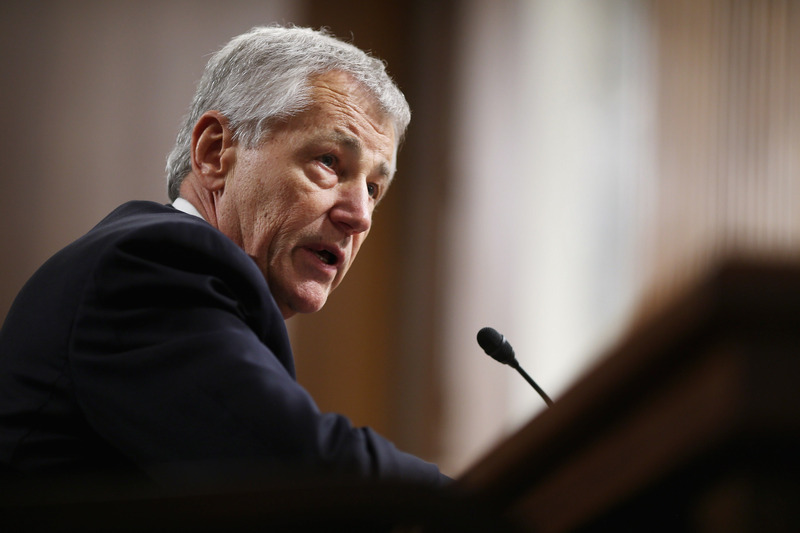 "Hagel may be passed out of the committee, but it's going to be a long, long time before he hits the floor," Inhofe told the National Review yesterday. "We're going to need as much time as possible, and there are going to be several of us who will have holds." "Each day that goes by will make it more difficult for Democrats who say they are pro-Israel to hold out," he said. "I want everyone to be very clear about his past statements and his positions." Even so, Ritchie says ultimately the Senate can "still operate," despite the "significant" delays a series of holds could impose. Reid told reporters today he will not honor holds placed by Republican senators, and a Senate Democratic aide tells CBSNews.com they're "not concerned at all" about the threats to derail Hagel's confirmation. "They know he's going to pass and they're just trying to get the headlines," the aide said, of Hagel's prospects. "There's very little concern on this." A number of Democrats expressed some initial concerns about Hagel -- particularly with regard to his past positions on Israel and Iran -- but after a series of private meetings with Democratic senators leading up to his confirmation hearings, none of them are expected to vote against him.